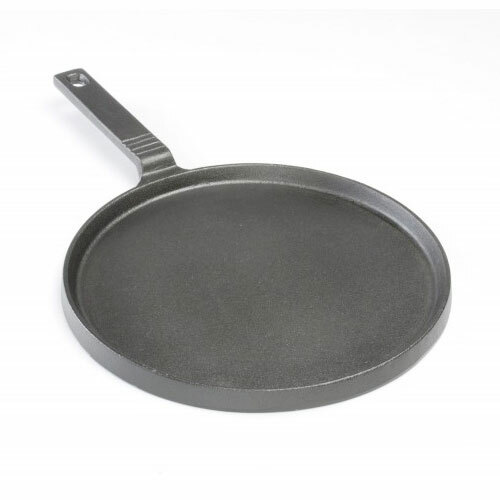 Cast Iron Comal Pan | Patio and Hearth Co. The cast iron comal pan is great for making fajitas vegetables, carne asada and more. It is the utensil of choice when making tortillas. You can also use it the pan to re-heat tortillas. This pan adds flavor and is safe for the oven, grill or stove. Inquire about Cast Iron Comal Pan using the form below.